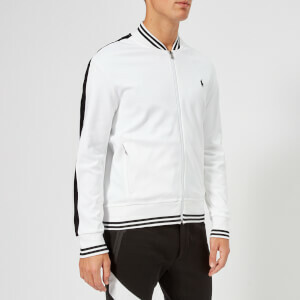 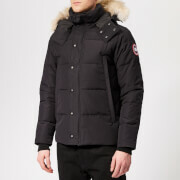 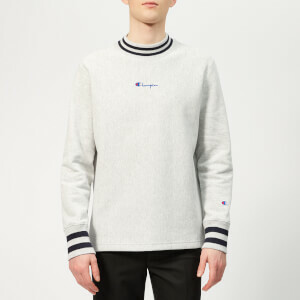 Men’s ‘Tipped’ baseball jacket from Polo Ralph Lauren. 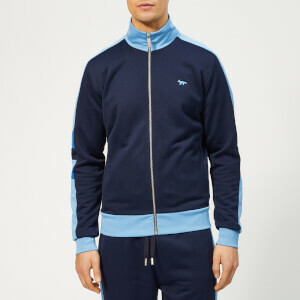 Cut from soft cotton, the grey varsity jacket features a high wraparound collar, two side zip pockets and striped ribbed trims at the collar, cuffs and hem. 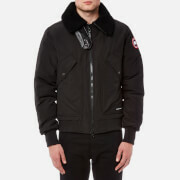 Fastening with a central zip closure, the jacket is completed with the signature pony logo to the chest.